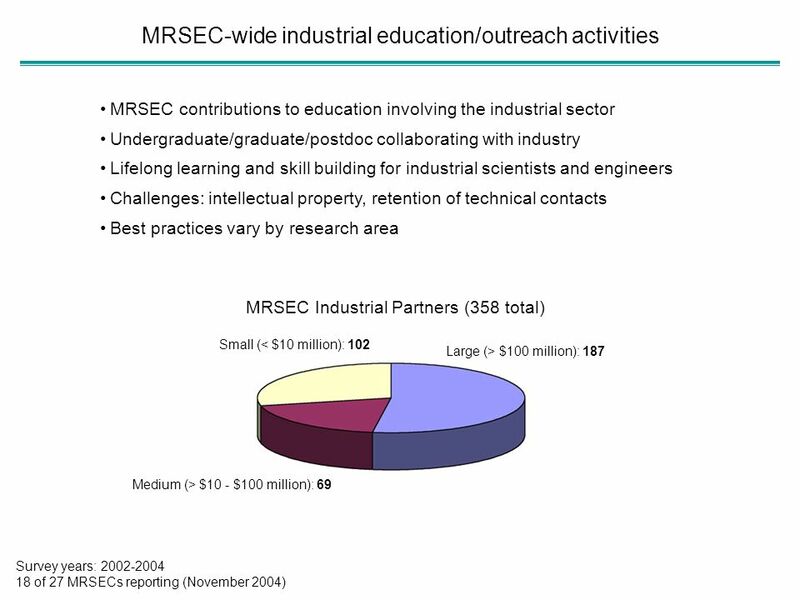 MRSEC-wide industrial education/outreach activities MRSEC contributions to education involving the industrial sector Undergraduate/graduate/postdoc collaborating. 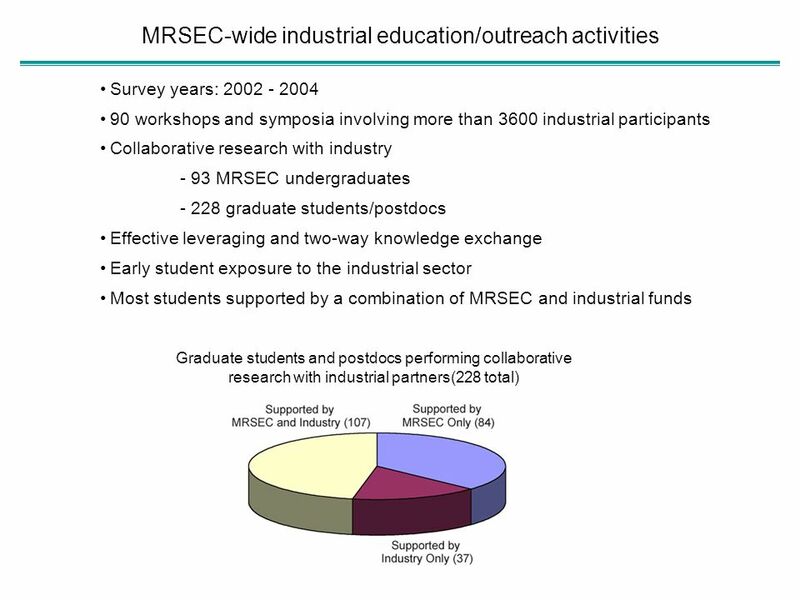 Download ppt "MRSEC-wide industrial education/outreach activities MRSEC contributions to education involving the industrial sector Undergraduate/graduate/postdoc collaborating." Science Saturday --- October 1, Nanotechnology Exciting new science and technology for the 21st century IBM chipUMass LogoTI mirror array. Nanoscience, Nanotechnology and Nanomanufacturing Exciting new science and technology for the 21st century. 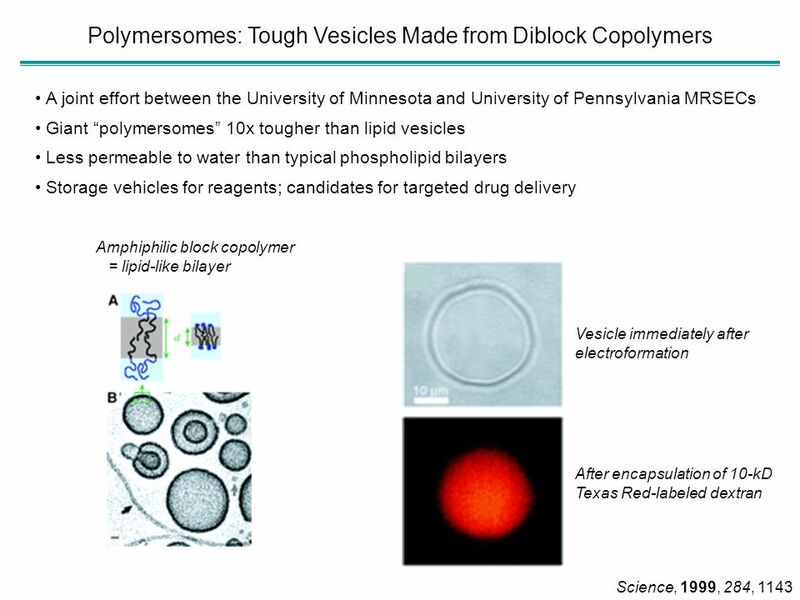 Mechanical and Industrial Engineering University of Massachusetts Amherst, MA, USA Nanomedicine Jonathan P. Rothstein. SPECIFIC ACTIVITIES COVERING A WIDER FIELD OF RESEARCH ACC-SSA 2003 Calls European Commission Research DG. Collaborations Between Academic Departments and Industry/Government SPAIG Committee: George Williams, Amgen July 28, 2007 Note: Statistics Partnerships. European SSAF Crete, Sept. 7-8, 2007 European SSAF Crete, Sept. 7-8, Oslo Cyclotron Laboratory and the Nuclear Physics Program S. Siem Department. Presentation title – Presenter/ref. - - p.1 AREVA / CVCC National Career Pathways Network Conference Stephanie Hart Program Manager October 18, 2012. The Basics Vision: New synthesis of statistical sciences and applied mathematical sciences with disciplinary science to confront data- and model-driven. Per aspera ad astra Marco Kirm Vice-rector for Research University of Tartu Estonia. Federal Support Available to SMEs: Working with Federal Science Based Departments & Agencies (SBDAs) Tech Expo 2004 Melanie Cullins Business Development. SRC Review – October 4 th, 2005 © 2005 M.Y. 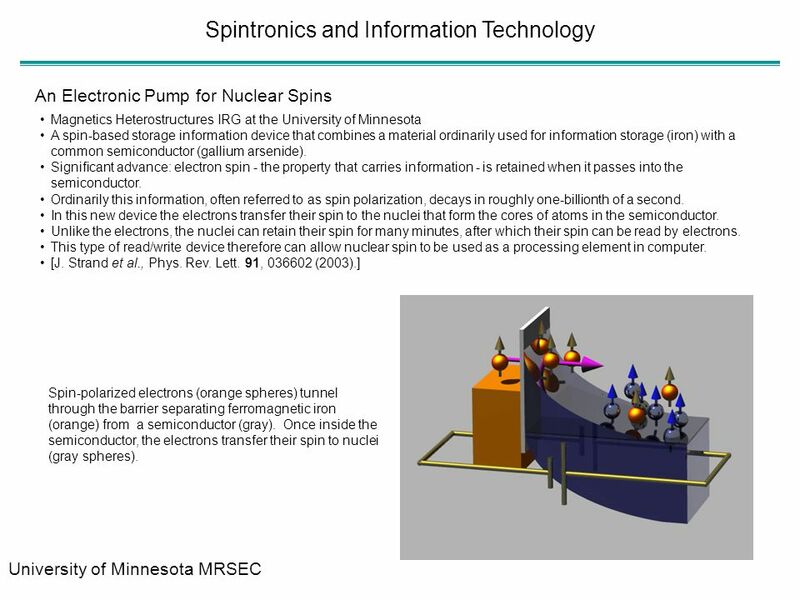 Simmons Single atom imaging and manipulation Don Eigler (IBM), Science 262, 218 (1993) Silicon (100) surface. Relationship of LDL-C & LDL-P. Lipoprotein Particles LipoScience 2007 NON-POLAR LIPID CORE Cholesterol Ester Triglyceride POLAR SURFACE COAT Phospholipid. University Programs -- Nuclear Engineering Education “The Road Ahead” John Gutteridge Director of University Programs Office of Nuclear Energy, Science. All Party Arts and Heritage Group Presentation by Mark Jones Chair, National Museum Directors’ Conference and Director, Victoria and Albert Museum 16 May. 1 Nanostructured Magnetism for Super-Dense Memories Ivan K. Schuller – UCSD Present: Towards 1 Tb/sq. inch Objective: Stabilize magnetization of nanostructures. Bilateral cooperation opportunities Anne Heinänen.